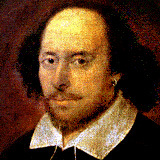 Over the years Shakespeare has proved a remarkably rich source for titles of books and plays. The accompanying lists are by by no means complete; after all, Shakespeare has been providing us with titles for four hundred years. What's more, the lists never will be complete -- not so long as writers keep turning to favorite Shakespearean phrases and images for their titles. So I welcome additions. If you're aware of any appropriate titles that are not listed here, please let me know. Books and plays only, please; the job is big enough as it is. Act and scene references would be greatly appreciated, as I'll need to verify each entry. No critical studies of Shakespeare have been included in these listings -- because that would be cheating. And books about specific productions of the plays have been left out for the same reason, unless a few slipped in by accident. 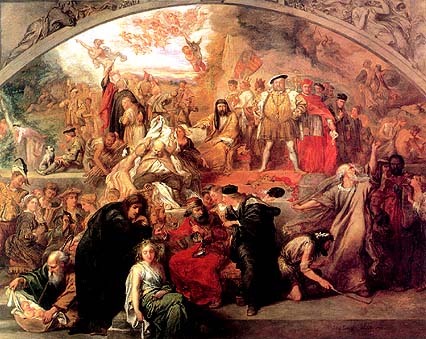 The purpose of these lists is to offer some illustration of how widely disseminated beyond the sphere of academic scholarship Shakespeare's words have become. And to point out, once again, that Shakespeare has been so thoroughly absorbed into the English language that much of the time we don't even know we're quoting him. To see a list, click on a play's title to the left. To look for a specific title or phrase, click the Search button. The best source of Shakespearean links on the web is Mr. William Shakespeare and the Internet, scrupulously maintained by Terry Gray. This page was created on 7 February 1997 and last updated on 9 March 2003.